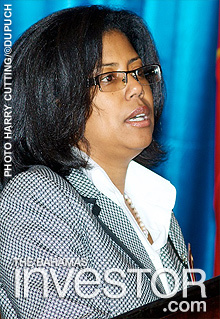 The Bahamas offers investors a myriad of opportunities and is a stable jurisdiction with a long history of financial expertise, according to former chief executive officer of the Bahamas Financial Services Board (BFSB) Wendy Warren. Warren, managing director of financial services group Caystone Solutions, made the comments at the Bahamas International Investment & Business Forum (BIIBF) held in Freeport last week. She said the country performed well in the three major categories that investors consider–location, infrastructure and history–and said this helped the country attract business even in recessionary periods. Warren said that The Bahamas has been at the forefront of finance in the region since the 1930s and pointed to the high level of expertise among professionals in the sector, saying this helps give the country the edge over its competitors. Warren also assured potential investors at the two-day event that the country would continue to develop its infrastructure and cater to international business to encourage sustainable growth. The BIIBF, which ran February 20-22, also heard from Prime Minister Perry Christie, who delivered the keynote speech, director of investments with the Bahamas Investment Authority Joy Jibrilu and chairman of the Grand Bahama Port Authority Ian Fair. Finishing the Volvo Ocean Race 2011-12 was not enough for some members of the old Telefónica crew: Friday they were celebrating as the MAPFRE challenge set a new record on the Christopher Columbus 'Discovery of the Americas' Route from Spain to the Bahamas. Prime Minister Perry Christie has said that the government is committed to marketing the Baha Mar resort, tapping new markets and allocating funding. Watch ZNS news report here.